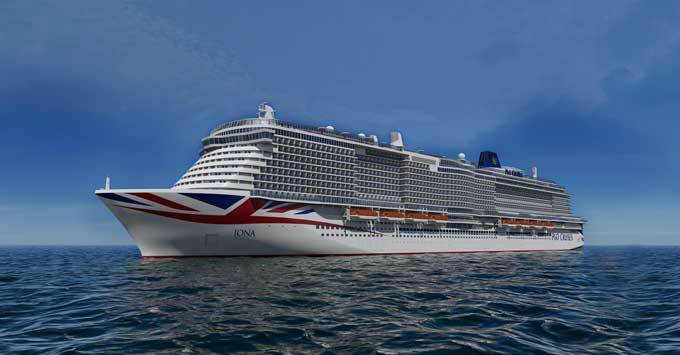 (4 p.m. BST) -- P&O Cruises has revealed more new features onboard its newest ship Iona including an onboard distillery and gin bar as well as a "boutique cinema". At an event billed as "A Day on Iona", P&O Cruises revealed the 5,200-passenger ship would boast its own distillery, as well as bar selling 30 different varieties of the most popular drink on UK cruises. Current flagship Britannia paved the way for gin lovers with a dedicated gin bar and gin menu, also selling 30 different varieties. The line also revealed Ocean Studios will be a four screen boutique cinema showing films throughout the day and with premium seating and surround-sound technology. Speaking at the event, former bassist for Blur and cheese connoisseur Alex James (who chooses the cheese on Britannia) said he will be curating the music onboard, but this has not yet been confirmed by P&O Cruises. Olly Smith, P&O's wine expert, who was also at the event, will have his signature restaurant onboard -- The Glasshouse -- and confirmed gin was the most popular drink consumed on cruises. Iona is currently being built at the Meyer Werft shipyard in Germany and will be launched in May 2020. Cruises are now on sale to Top Tier Peninsular Club members and go on general sale from September 17. Iona's maiden season will be spent in the Norwegian fjords.